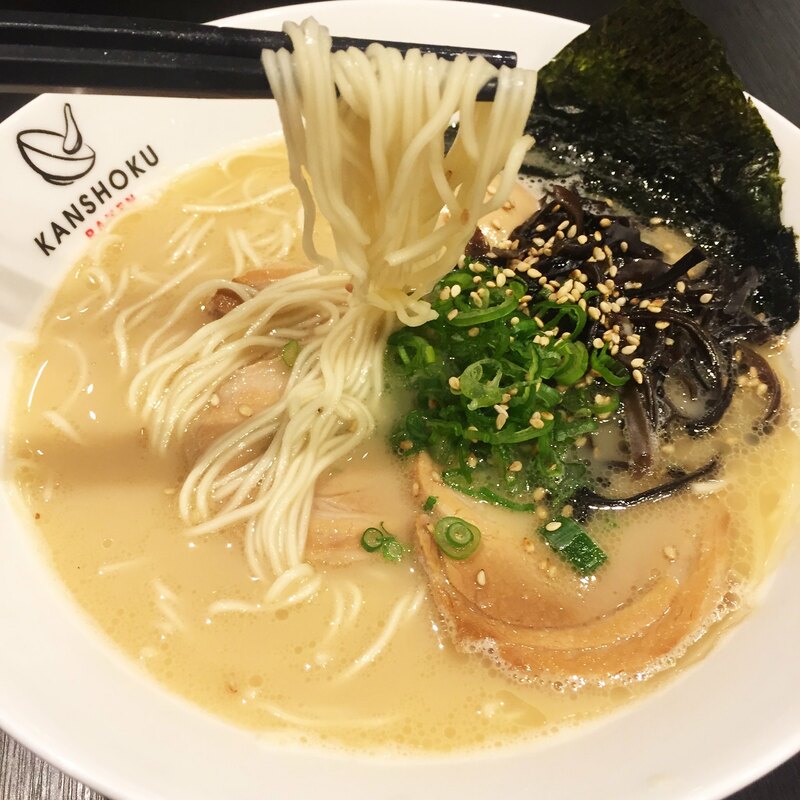 Going by the name of Kanshoku Ramen, located at The Metropolis, this new ramen place strives to make you "finish eating every last bit of your food". 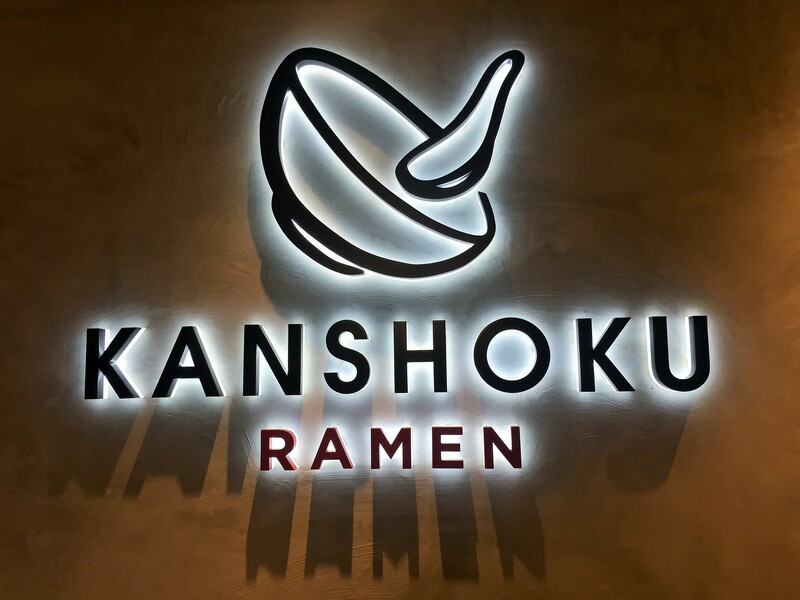 When most ramen concepts try to look and "sounds" authentic, Kanshoku Ramen, on the other hand, sets out to define their own identity. 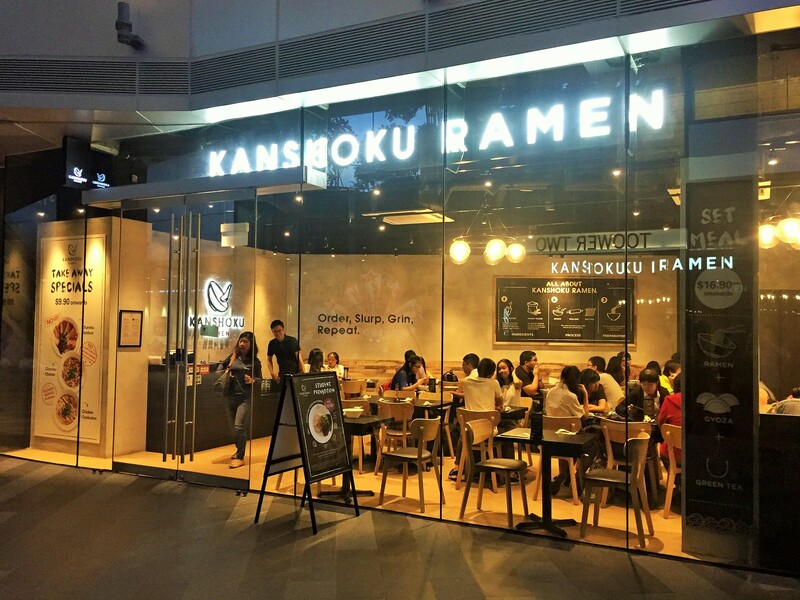 Not to say that their Hakata ramen deviates from the original but they would like others to know them as simply a place that serve good ramen. A ramen that they can call their own and not inherited down from some pseudo Japanese brand. Hence, you see no sign of Ramen chefs wearing bandanas, hear no sound of the usualいらっしゃる. Even their setting barely carries a trace of Japanese influence. 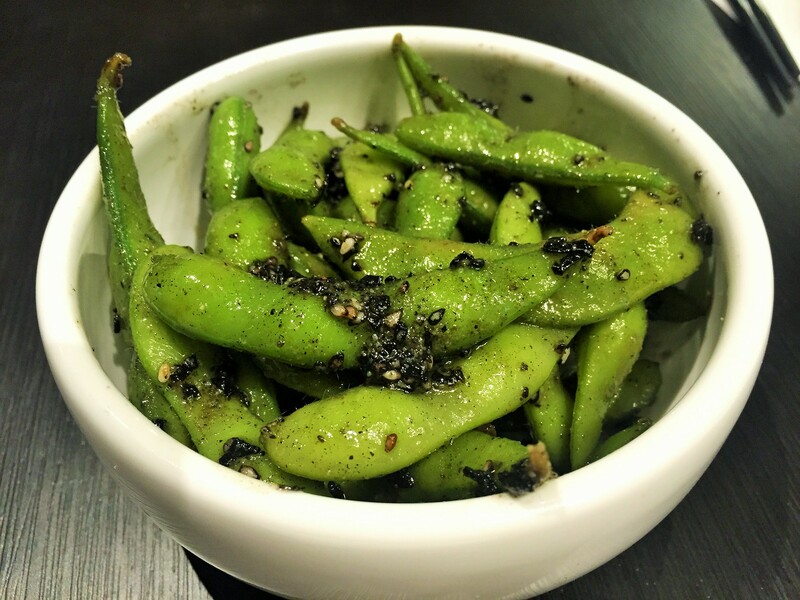 Their Black Truffle Edamame ($4.90) exemplifies my point. Served cold, drizzled with truffle oil, sesame seeds and dried kongbu, I polished each pod clean. It's as moreish as any fries, chips... Simply addictive. What followed were what most come here for - their ramen. 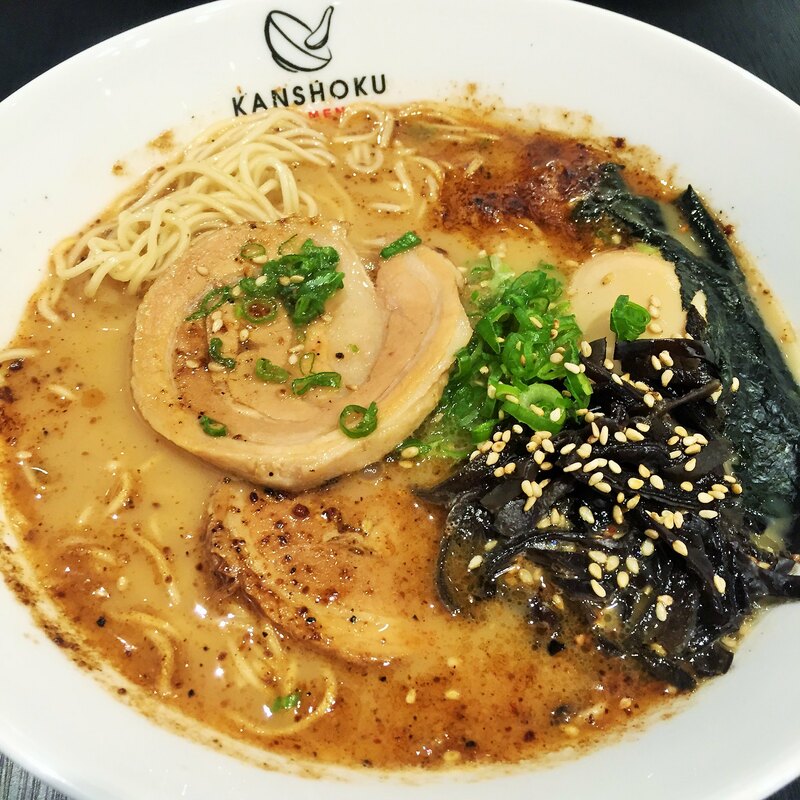 We had the original Kanshoku Ramen ($13.90++), and the Black Garlic Ramen ($14.90++). We could hardly wait to have our first drink of the highly acclaimed broth. Its reputation does not come from its richness but it's lightness, and that lightness is a result of several rounds of trials to make sure that there is a balance of flavour and density. Although I feel it lacks a kind of robustness, I attribute that to the absence of miso, which is my usual order. Anyway, I did finish till the last drop! The braised charshu contains just the right amount of fats, making it so amazingly soft and tender. 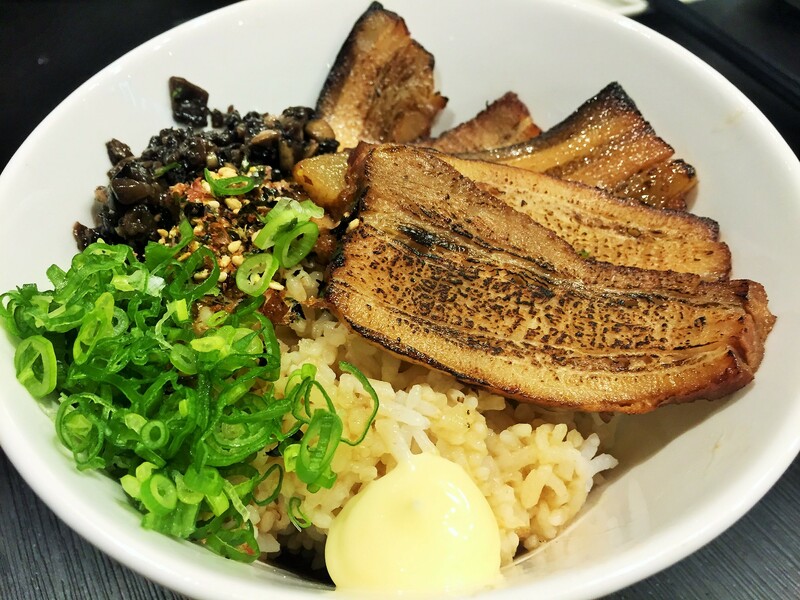 What came next sort of steal the show, somehow – Charshu Donburi ($13.90++). My eyes lit up as the flamed grilled pork fats melts and glazes my mouth within seconds. Accompanied with minced mushrooms, scallions and a tiny dollop of mayonnaise, this bowl of rice should be sharing the throne with the ramen. Although the texture of the rice can be fluffier, I feel it has surpassed any of the donburi I have had so far. Before we even commented about it, the owner readily admitted that they are still trying to master the trick of cooking a good bowl of pearly Japanese rice. Well, I'm sure looking forward to my next bowl of Charshun Donburi in my next visit! The Gyoza, Prawn or Chicken ($5.90++) were decent. 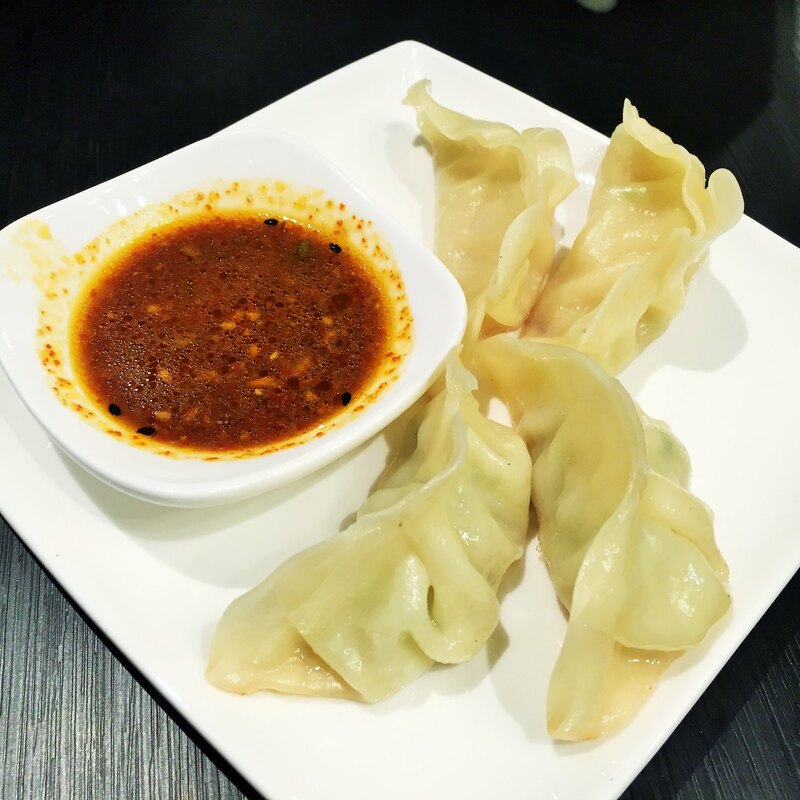 I prefer the chicken gyoza much more as it is sweeter and juicer. It would have been even better if the pocket is fuller. 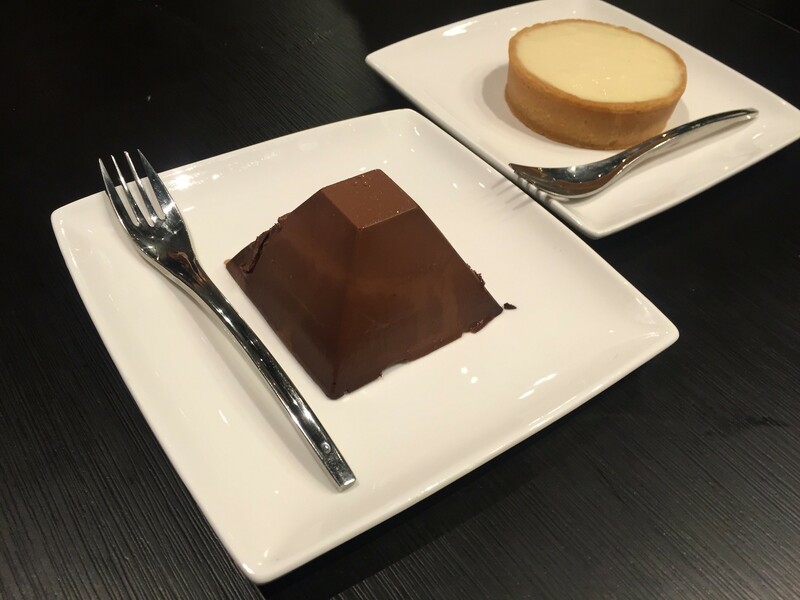 A range of patisseries is available for desserts, as the owner is thoughtful enough to include for his guests to have a complete meal. The highly recommended are the Yuzu Lemon Tart ($6.20++) and Tokyo Banana Chocolate Cake ($7.90++). Although Kanshoku Ramen didn't manage to bump my favourite ramen place off the top of my list, it is definitely worth my bucks. I particularly like the overall bistro ambience, which is relatively more spacious and comfortable compared to other ramen places. With a bit of fine tuning to their menu, I'm sure their second outlet at Somerset 313 will be a success. It will be launched in November, so do keep a look out for it! A little overrated IMHO, which is unfortunate. Starters are great though.